Never one for the subtle approach to filmmaking, Michael Bay will feature two very hot and very ostentatious Italian performance cars in Transformers 4: Age of Extinction: the Pagani Huayra and Ferrari 458 Speciale. Because why transform into a boring car if you can avoid it? Our colleagues at io9 report that the duo will join the Corvette Stingray, Bugatti Veyron, restyled Chevrolet Camaro and other cars as Autobots for the film's fourth installment. 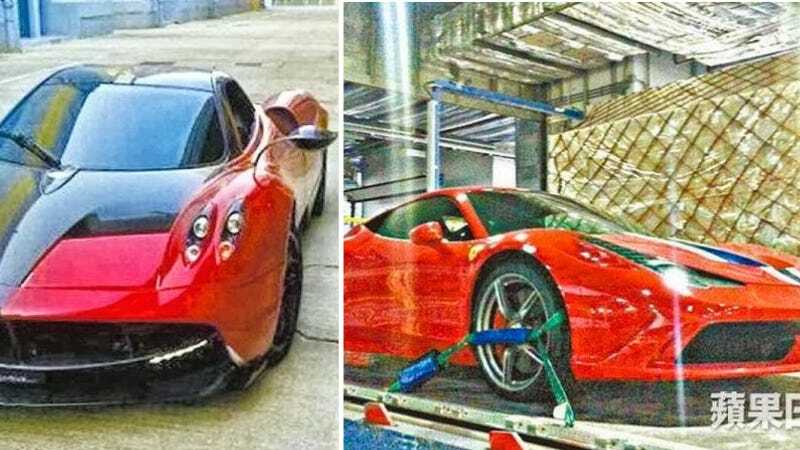 The Ferrari and Pagani were even caught filming in China recently. Should be a grand time for all. What will Man of Steel 2 have in common with The Dark Knight Rises?